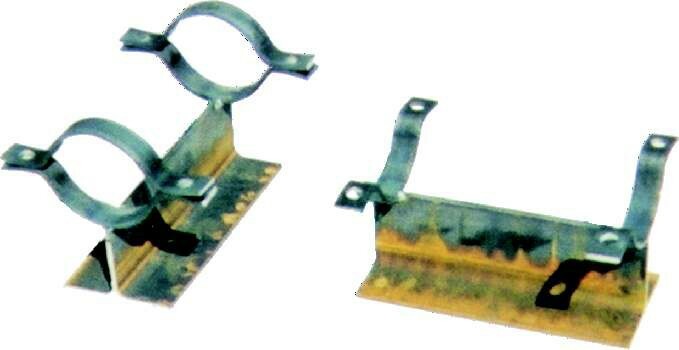 Service: Riser clamps are used for the support of vertical piping. Load is carried by shear lugs which are welded to the pipe. Shear lugs provided upon request. Local pipe wall stress evaluation available upon request. Approvals: Complies with Federal Specification A-A-1192A (Type 42) and MSS-SP-69 (Type 42). Ordering: Specify pipe size, material, figure number, name and finish. 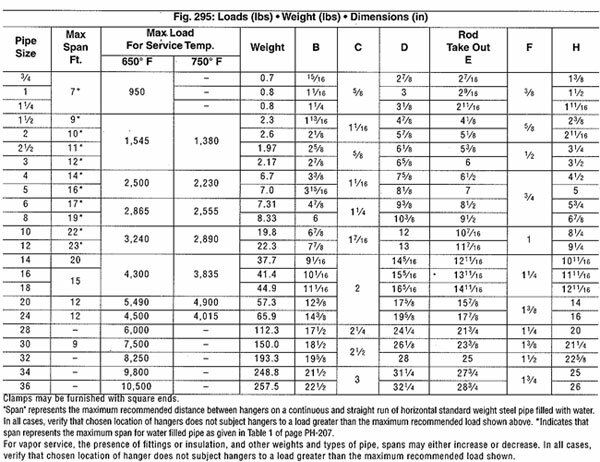 Note: If greater loads are required, refer to Fig. 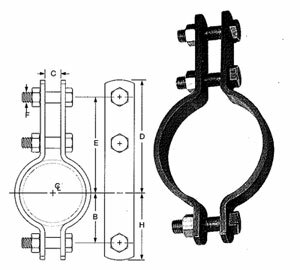 40-SD special design riser clamp. Service: Recommended for suspension of pipe requiring insulation within the limitation of temperature and loads shown below. Approvals: Complies with Federal Specification A-A-1192A (Type 3), WW-H-171-E (Type 3) and MSS-SP-69 (Type 3). Installation: Attachment to the clamp may be made with a welded eye rod Fig. 278, page PH-82 or the weldless eye nut Fig. 290 see page PH-89. Features: Sizes 6″ and above accommodate up to 4″ thick insulation. Figure 41SD will accommodate larger insulation thicknesses. 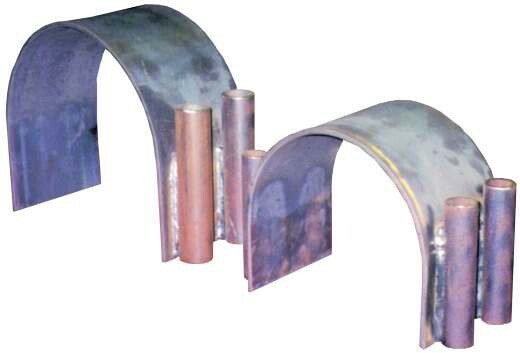 Service: Used with and where pipe slides cannot be welded directly to pipe or copper tube. When used with fiberglass, plastic or aluminum pipe, a think protective liner should be inserted between the pipe and the clamp. Clamp is designed for use with Figure 257 and Figures 436 and 439 slides and tees.